"A Celebrated Son of the Rock"
Peter provided me with photographs and snippets of data about Alex's subsequent life, and I followed these up on-line via 'Google' .... thus .... "
"Every movement has its generals and foot-soldiers, and in the ranks of the folk revival Alex Atterson was probably more of an NCO. 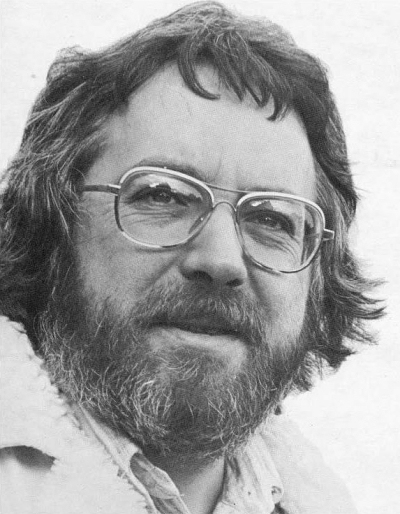 Though by no means one of its best-known singers, he was a robust performer of the Scottish canon and his settings of the poems of Charles Causley arc comparable with - and probably superior to - those of Paul Simon. 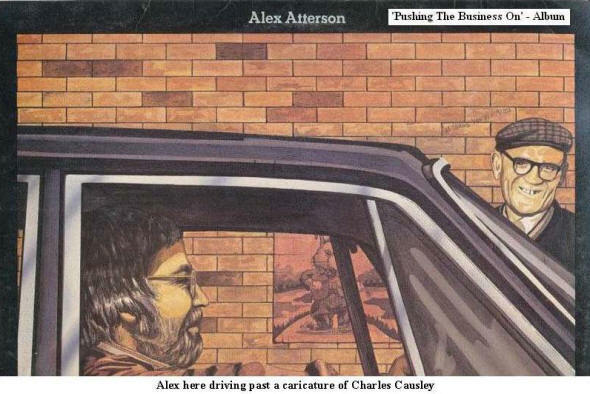 Alex was born in Cambusbarron, a small village a mile south-west of Stirling, into an extended family that used to hire the village hall every New Year's Day for an impromptu party in which every member had their party piece, which might be contemporary pop or traditional Scots. He was the only child of a woman who had served as a nanny to the local gentry; his father was a semi-skilled worker with a variety of trades to his name. He trained as an industrial chemist, coming south to work with the British Sugar Corporation in Peterborough, then moving to the Reckitt and Colman company in Norwich, a city where he stayed until he died. 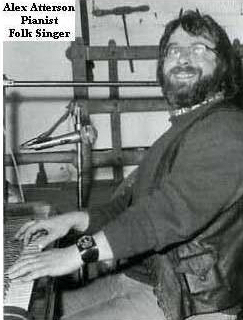 Singing regularly at the local Sunday night folk club, he became a professional performer in the late Sixties - about the same time that he became deeply involved in the Norwich Folk Festival, one of the most widely respected events in the folk calendar for 13 years until, in 1982, it was barred from the campus of the University of East Anglia because the authorities were afraid that travellers from the then notorious "Convoy" might sneak in and establish a presence there during the event. One of the remarkable features of the festival was that no one was paid. All appeared for the promise of a share of the takings. Only Alex could have pulled that off. He produced two albums of his singing in 1974 and 1977, the second of which took its name, Pushing the Business On', from a phrase in the Causley "O Billy, Do You Hear Hiat Bell", which was one of his most accomplished settings. In 1979, the increased price of petrol and the difficulty of making a living on the road caused him to abandon his professional status. He trained as a teacher, serving a year at the primary school in Acle, Norfolk, before transferring to the science department of the high school in the same town. He later became Head of Science there before his retirement in July of this year. During his brief professional career, he had established a reputation as a reliable and warm-hearted performer, whose tastes extended from traditional ballads to jazzy rags and foot-stompers, and was particularly highly regarded in Cornwall, and in Bedford, to which he had returned only last year for the local club's 30th anniversary."